The beginning of every new year is always filled with predictions. By way of Gizmodo, check out what Gannon Burgett of The Industry believes the top 13 trends in the design community will be this coming year. 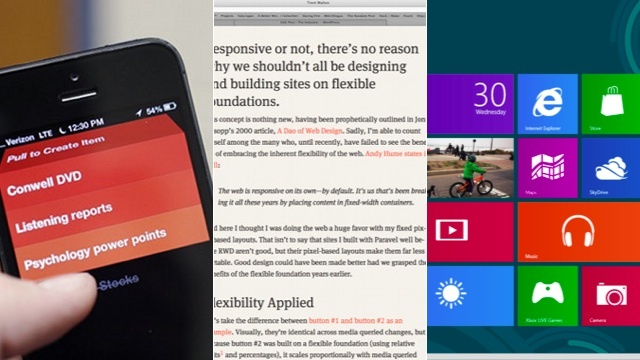 Among the top trends: flat design (Windows8), fewer buttons, larger typefaces, GIFs as design elements … and more. Tags: buttons, flat design, fonts, icons, search, typography, user experience. Bookmark the permalink.